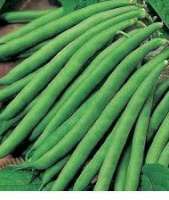 Bean recipes - how to cook beans, french beans or runner beans. There are a lot of Bean recipes. Beans are commonly grown and used all over the world. I love to eat tender green beans by itself without cooking. Just wash it well after you bring it in from the garden and it is so nice and crunchy. Fresh beans as well as dry beans are used depending on the recipe you wish to make. In India beans are a commonly used vegetable. Beans are cooked by itself of in combination with rice, other vegetables or pulses and lentils. Cooked with rice and spices, it can be a one dish meal. Cooked as a vegetable side dish, it is a good accompaniment for breads, such as chapati or phulka or with steamed rice. You can use any kind of beans such as french beans, runner beans etc. Prepare beans by topping, tailing and remove strings too. It is good to add beans in your meals in soups, rice dishes, subjis or in snack items such as Upma. Beans contain enough water. When you add sugar and salt while cooking, this water will be released. That is enough for the beans to be cooked. Don't know many recipes using beans? Keep reading and you will find more bean recipes on this site. 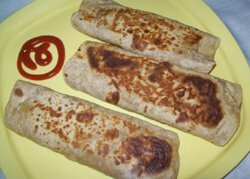 Mixed vegetable stuffed frankie - healthy and a favorite of kids and adults. Potato masala - aloo bhaji - served with dosa, poori, chapati. Vegetable curries - A variety of vegetarian curries.